The idea of the world of the dead as a physical location was quite common in ancient cultures, and more or less still persists today. It’s still common to think of Heaven as being up in the sky and Hell as being underground, even if we’ve explored those areas and haven’t found any souls hanging around. I’m reminded of the urban legend about drilling a hole to Hell, which a fair number of people actually bought. There are references to the Norse believing that the dead have an abode inside the mountain of Helgafjell, where they spent their time feasting and talking. I guess if the dead from all ages ended up there, there would be a lot to talk about. Herodotus claimed that the River Styx, one of the main bodies of water in the Underworld, originated somewhere in Attica. And as far as the Greeks go, the Land of the Dead was often thought to be on the western side of the River Oceanus that surrounds the world. That was where Odysseus had to go to speak to the souls of the departed. One particular Greek belief along these lines involved the Fortunate Isles, or Isles of the Blest. These islands were a paradise in the western ocean where the spirits of heroes would live out their afterlives in comfort. As the belief in the Elysian Fields as a heavenly location in the Underworld gained in popularity, it was stated that the Fortunate Isles were reserved for those who chose to be reincarnated and deemed worthy of Elysium three times. So I guess they were more or less a kind of Super-Heaven. Both Kronos and Rhadamanthus have been mentioned as possible rulers, although I’m not sure why a paradise inhabited entirely by the virtuous would need government. 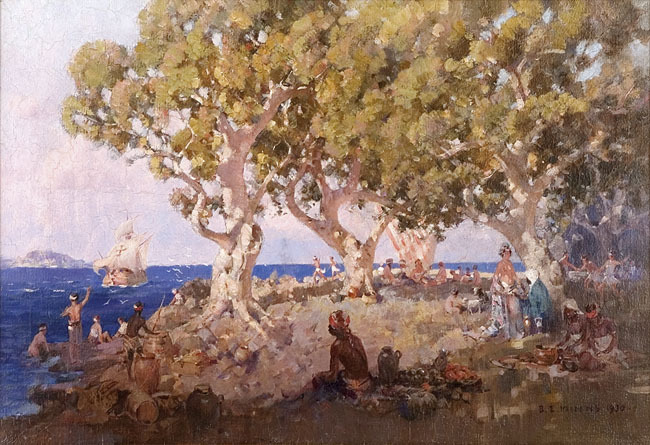 Plutarch wrote of the Roman general Quintus Sertorius as having heard about the physical location of the islands from sailors, and becoming obsessed with finding them. According to these accounts, the weather is mild there because the north and east winds lose all their power before getting there. Apparently Pliny the Elder agreed with most of these descriptions, but also said that the isles were plagued by the rotting bodies of sea monsters. I suppose even earthly paradises occasionally need sanitation services. The Greek beliefs about the islands dovetail nicely with those of the Celts, who also spoke of the abode of the dead being far out in the west. This concept made it into Arthurian legend with the mystical island of Avalon, where Arthur was taken to recover from what appeared to be a mortal wound. Since Avalon is associated with apples, this links it to the Garden of the Hesperides, also said to be located in the western ocean. Various islands would come to be associated with the Fortunate Isles, although I doubt anybody found Achilles or Menelaus on any of them. Madeira, Cape Verde, the Azores, and the Canary Islands were all considered as possible inspirations for the abode of the virtuous dead. 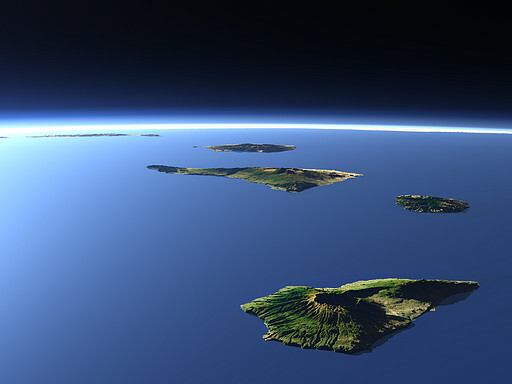 These islands are now collectively known as Macaronesia, after the Greek makaron nesoi for the Fortunate Isles. While the name doesn’t indicate an abundance of macaroni and cheese, it apparently is thought likely that there’s a connection between the word “macaroni” and the Greek makaron, meaning that pasta is the food of the blessed. 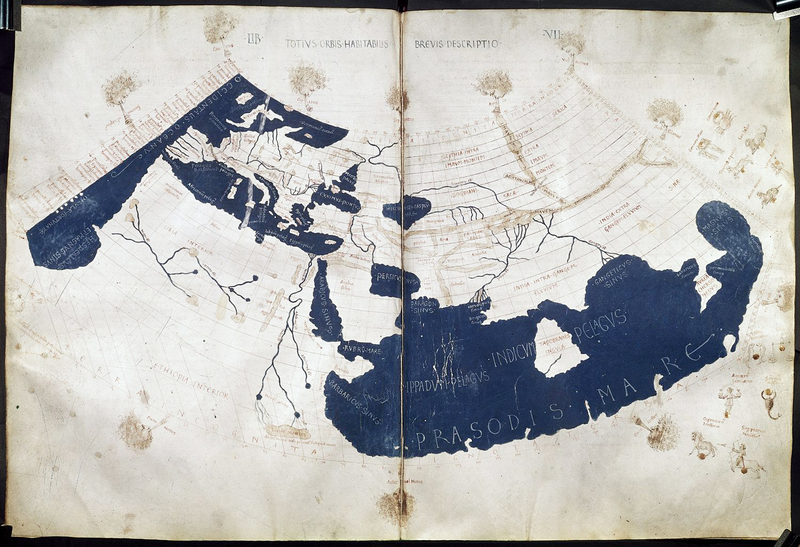 Anyway, Claudius Ptolemy used Macaronesia as the location of the Prime Meridian for his maps, the reason being simply that it was the land farthest west that he knew about. This entry was posted in Arthurian Legend, Celtic, Etymology, Food, Greek Mythology, History, Language, Maps, Mythology, Norse, Urban Legends and tagged afterlife, atlantic ocean, avalon, claudius ptolemy, elysian fields, fortunate isles, heaven, helgafjell, hell, herodotus, hesperides, isles of the blest, king arthur, kronos, longitude, macaronesia, macaroni, makaron nesoi, oceanus, pliny the elder, plutarch, prime meridian, quintus sertorius, river styx. Bookmark the permalink. Take a look at the legend of “St. Patrick’s Purgatory”. That’s pretty interesting. I might have to do an entry about entrances to Hell, or something along those lines. There’s a genre of Irish medieval stories called immrama/voyage tales, where people in various situations go to sea and visits islands in a slightly Dante-ish manner – some islands are paradises, others hells.